Dr. Nancy Sand MD is founder of “Sand Institute” and “The Sand System”. She an Oculo-Plastic and cosmetic surgeon. She is certified by the American Board of Ophthalmology and American Academy of Cosmetic Surgery. She completed her residency at the University of Southern California School of Medicine and at the prestigious Doheny Eye Institute. 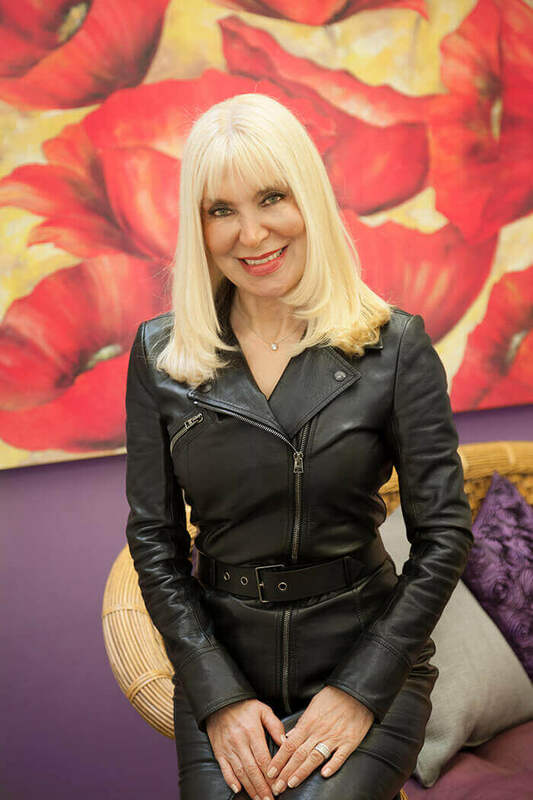 Dr. Sand’s unique artistic abilities and appreciation for beauty have led her to undergo extensive training in aesthetic surgery both nationally and internationally, where she has studied and practiced with leading world experts. Her fat grafting training and experience started with training with the renowned leaders in area of fat grafting such as Dr Pierre Fournier, the inventor of the Liposculpture in Paris, France, Dr. Sidney Coleman in New York and Dr. Roger Amar the inventor of FAMI in Marseille, France. Dr. Sand completed her training in micro-liposclupture experience with the inventor of tumescent technique Dr. Jeffery Klein in San Juan Capistrano, California. Dr. Sand has also gone through an extensive training in Mesotherapy and Lipolysis with Dr. Jacques le Coz the authority in Mestherapy technique in Paris, France. Dr. Sand is very excited about stem cell therapy and it’s application for rejuvenation and aesthetics. She has a special interest in aesthetic adult stem cell grafting and Platelet Rich Plasma for the face, body and hair rejuvenation. She actively practices and follows the latest research innovations in the area of stem cell therapy. Dr. Sand is an author, invited guest speaker in the areas she practices. She is a clinical consultant in teaching facilities affiliated with USC. She serves as California medical director for multiple national medical health plans to credential physicians. She has been listed in the America’s Top Doctors and Top Ophthalmologist list in the past and currently. Her creative and scientific talents allow her to offer her patients the most advanced and innovative techniques in aesthetic surgery and restorative medicine. Her ongoing interest in learning innovative procedures continues to take her around the world. In order to better understand the concept of beauty and rejuvenation, as an artist, she has taken extensive human face and body drawing classes both in Paris and Los Angeles. Along with her enthusiasm for keeping abreast of the latest cosmetic and anti-aging medicine from around the world, Dr. Sand attributes her success to her compassion, dedication, skill and technology that she brings to her patients. She believes in an open communication with her patients and with an easy language to understand. Her strong interest for “beauty” and her passion for slowing, restoring and reversing the “aging process” has inspired her to develop “The Sand System”. Dr. Sand is very pleased to practice aesthetic surgery in this exciting time, where through innovations and technologies available to us, there are a wide array of personalized options for her clients who want to explore their option and enhance their appearance. At times Dr. Sand recommends a combination of procedures for superior results. In particular, she prefers procedures with little down time and a natural outcome. She believes beauty is an ensemble of shape, volume and proportion and that the concept varies in different cultures. She also believes everyone should have the opportunity to feel and be beautiful. Dr. Sand values the importance of nutrition, mind and body health. She exercises regularly and lives “the system” she created. She believes, in addition to cosmetic procedures, total body rejuvenation and slowing the process of aging can be achieved through a healthy nutritional diet, a regular exercise program and stress reduction. In her free time, Dr. Sand takes pleasure in scuba diving, sailing, alpine skiing, cycling- spinning, weight training and yoga. She enjoys salsa dancing. She has a profound interest in art and she participates in cultural, artistic events regularly. In addition, she is avidly engaged in drawing human face and body as an artist.